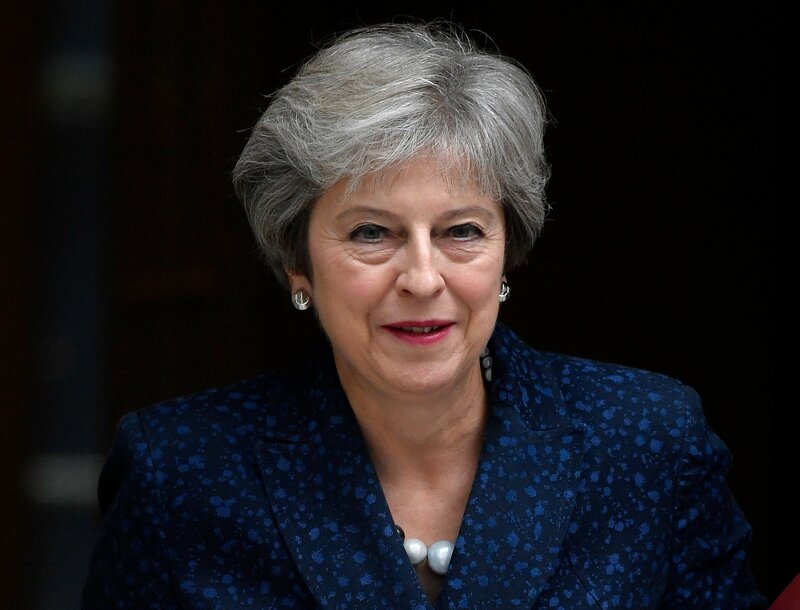 British Prime Minister Theresa May could face a challenge to her leadership within days as her Conservative Party seems set to split on the leader’s Brexit blueprint. As many as 50 Conservative members of Parliament reportedly met Tuesday night to discuss their plans for an expected leadership race, The Telegraph reported. The ruling Conservative Party has been split by the decision to leave the European Union. 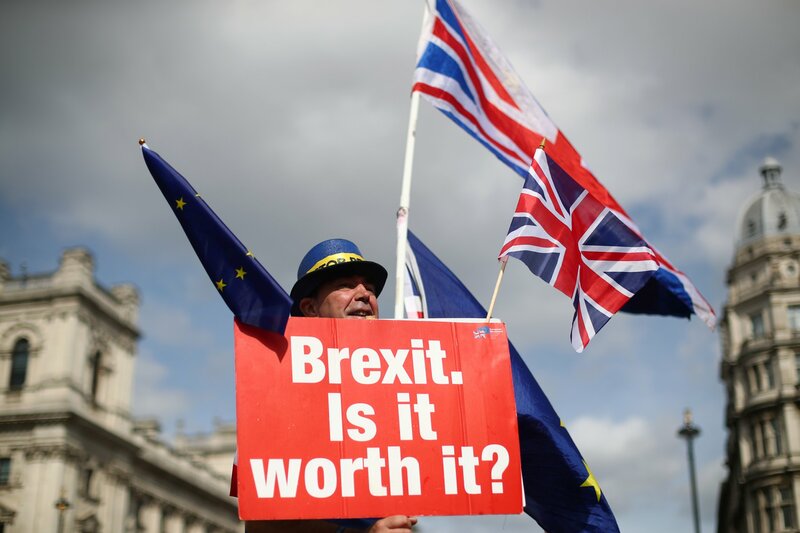 Its members are generally now in favor of either a “soft Brexit” in which the U.K. would remain largely aligned with EU laws and institutions, or a “hard Brexit” in which the country would exit the bloc with no or very little regulatory alignment. Opponents of a hard Brexit warn such a situation could disrupt food, fuel and medical supplies, ground flights and send the British pound tumbling. May’s efforts to avoid this situation produced her so-called Chequers Plan, which proposed a soft Brexit. To trigger a leadership contest, the chairman of the 1922 Committee of Conservative backbenchers must receive 48 letters calling for a no-confidence vote in the party leader. According to The Telegraph, Sir Graham Brady has so far received 35. If the no-confidence vote defeated May, she would be forced to resign. Another attendee told The Guardian there was “an utter lack of dissent” among those present about replacing May. “They ran through the ‘how to’ options. It was not a question of ‘should do,'” the MP said. May has vowed to fight any leadership challenge. The prime minister has struggled to negotiate the choppy waters of Brexit since taking office following David Cameron’s resignation in 2016, and a disastrous general election result in 2017 looked like it might be the end for May. But she clung on. Some have suggested the top job is such a poisoned chalice that potential challengers are happy to wait to launch leadership bids. Few politicians seem willing to take responsibility for what is widely expected to be a politically unsatisfying and economically disastrous Brexit. As the March 2019 deadline approaches, the pressure grows on both sides to reach a deal. There is hope that the looming Brexit Day will prompt greater compromise and allow an agreement to be made, though not everyone shares the same optimism. On Wednesday morning, Conservative Brexiteers from the European Research Group met in London to discuss its approach to one of the most difficult elements of Brexit negotiations—the status of the border between Ireland and Northern Ireland. Prominent ERG member Jacob Rees-Mogg arrived at the meeting and told reporters he had no intention of leading a revolt against May. Nonetheless, Rees-Mogg maintained that the Chequers deal would not be acceptable, suggesting he wished to change the prime minister’s mind rather than force her out. The Brexiteers’ favorite to replace May is currently former Foreign Secretary Boris Johnson. Even when he was part of May’s cabinet, Johnson did little to support the prime minister. The former mayor of London has long been believed to harbor national leadership ambitions. Despite embarrassing reports last week that revealed his marital infidelity, the bombastic politician launched a fresh attack on May Tuesday, calling her Chequers plan “humiliating” and “substantially worse than the status quo,” reported Politico. Following Tuesday's shadowy Brexiteer meeting, Environment Secretary Michael Gove attacked hardliners for “loose talk” and warned that internal division threatens both the party and Brexit. If the internal turmoil forces a general election, many Conservatives fear that Jeremy Corbyn’s left-wing Labour Party could win power. Though Corbyn has spent the summer bogged down by accusations of anti-Semitism, the most recent polls put him neck-and-neck with May. But Labour has also been grappling with Brexit. Its representatives are caught between the party’s traditional working-class base that is generally pro-Brexit and its liberal urban voters who are mostly pro-Remain. Though Corbyn has voiced support for Brexit and ruled out a second referendum, not all senior MPs are behind him. As has been the case for the Conservatives, power might widen these cracks into chasms.